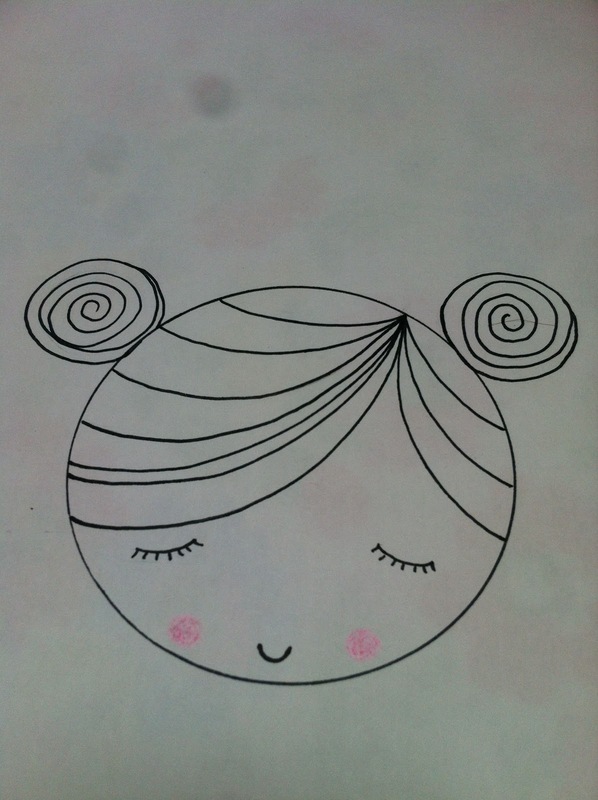 Lisa Monis: Summer 2012....the countdown! 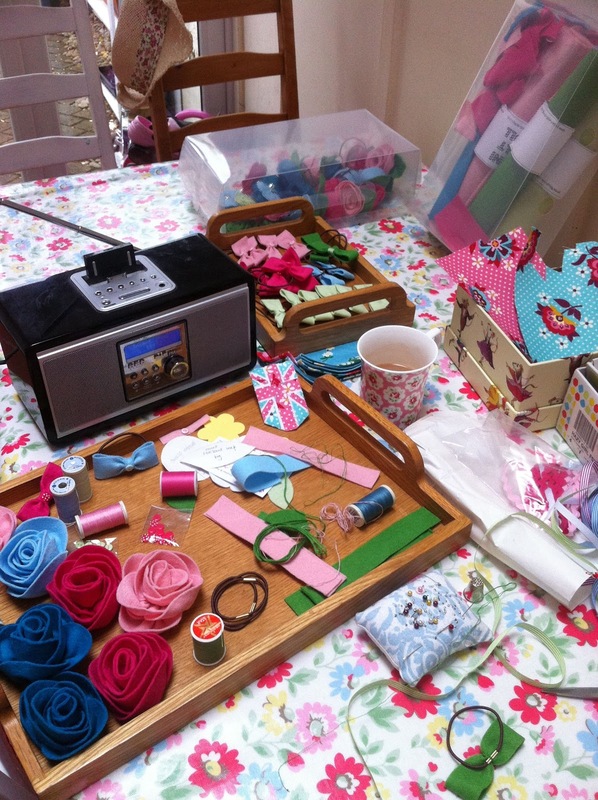 Only a few days left now until my first stall for my Summer 2012 collection and I'm in a sewing frenzy surrounded by gorgeous felts, fabrics, threads and ribbons....heaven. The roses in the bottom left still need leaves adding and then they'll be made into dual hairclips and corsages. 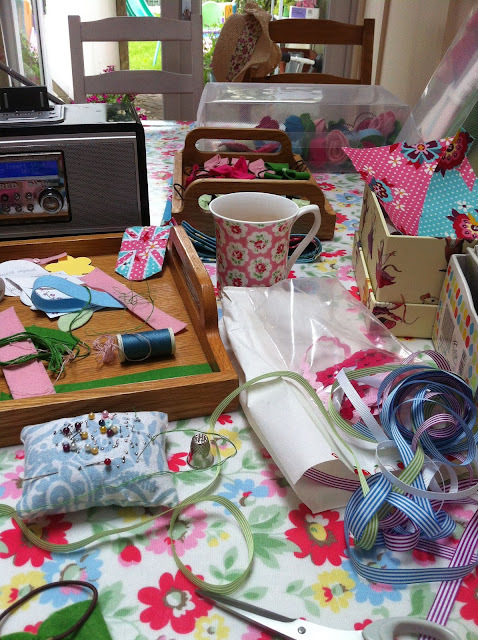 Top sewing tunes on my i-phone (taken out of the dock so I could take this photo) to keep up my sewing tempo: Without You (feat. Usher) by David Guetta, Ashes by Enbrace, Nothing by The Script, Breakout by Foo Fighters, I Gotta Feelingby The Black Eyed Peas, Primadonna by Marina and the Diamonds, Dosed by Red Hot Chilli Peppers and Not Alone by Bernard Butler. 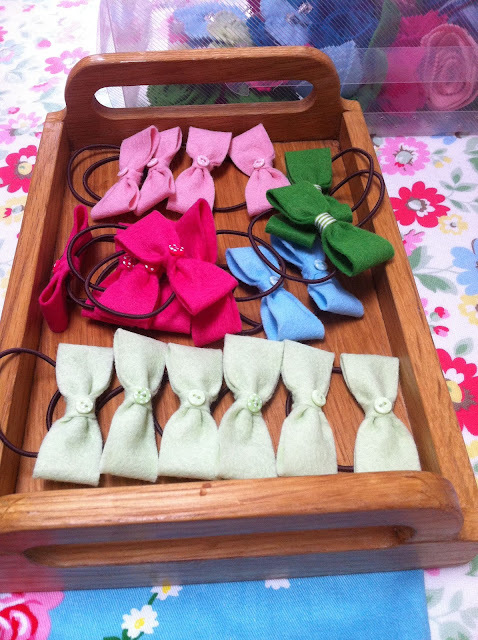 Finished hairband bows ready to be labelled. 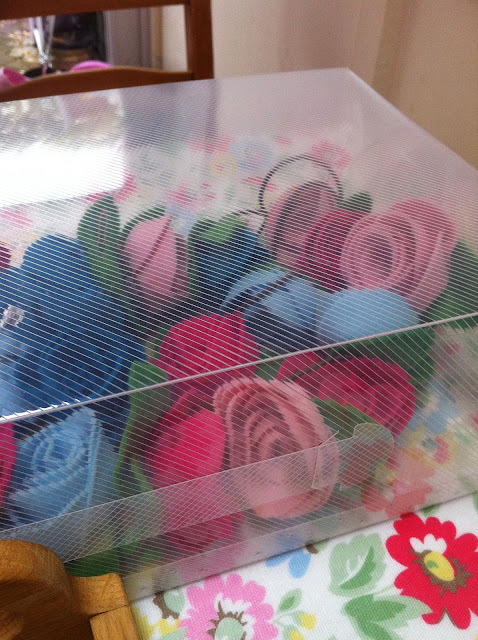 This plastic box is full of lovely finished hair clips and bands ready to be mounted onto labels. This shy little lady is going to be the model for my hairband bows...or at least that's my plan. I've sketched her out here with the idea that I'll be able to scan her onto card and then mount the hairband bows on as if she's wearing them. In my head it looks amazing....can I bring it to life? We'll have to wait and see! !